Paula said I “would have you believe that the religious in Israel are the minority”. This is true. And Paula is also right in another way – it’s hard to get real stats on the Religious vs Non-Religious populations. The latest sources I found were in 2009. It looks like there was a decision made in 2010 to stop looking at this type of demographic. In Ben Gurion University, in a Society and Demographics of Israel course, I was taught that 30% of the Jewish Israeli population is religious. That is in 1990. And this: 43% of Jewish Israelis consider themselves to be Secular. Add to that the 25% of the population of Israel that is not Jewish. Sum: 68% of the population of Israel is NOT Religious Jewish. 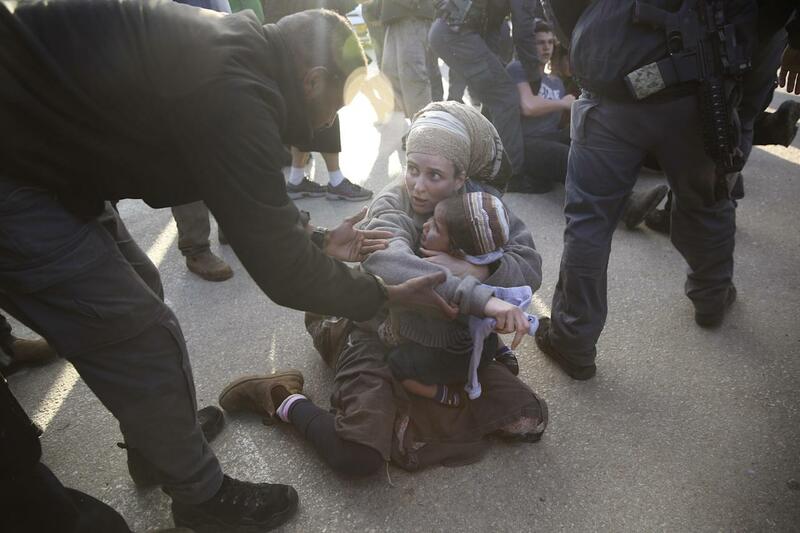 2017 – Settlers being removed by force – the picture is from yahoo.com. You don’t take little children to this type of thing. You just don’t. I have so much more ranting to do about this. But it’s time to work. Pants/slacks/leggings are a Scandinavian invention. If you think you are dressing “properly” by disallowing women to wear pants, you are wrong by Biblical standards, modern standards, and common sense. The only perspective that gives any logic to the ideas of Haredi proper dress, is the European Jewish Ghetto. Is that REALLY the only epoch worth emulating?? Thanks Paula Stern for your comment. The story about Psalms at the Kotel and the soldier with the candy bar are very special and important. Rochelle – I think a lot of this is in the definitions of what is traditional, what is religious, what is secular. And yes, I had a feeling all along that what you were talking about wasn’t religious so much as Haredim. Here too, what is important to remember, is that there are definitions here as well. 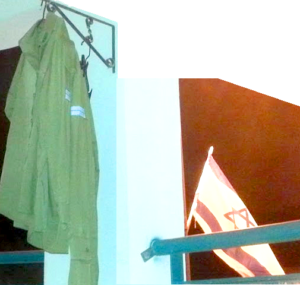 My son-in-law, who considers himself Haredi, served in the army and is proud of the Israeli flag to the depths of his soul. My daughter, his wife, graduated from Hebrew University. Neither one would fit your definition of Haredi and yet they are. They hold no one to any standards…but themselves. They live their lives as they choose and are among the least judgmental people that I know. I am not Haredi, though I can’t tell you how my practice of the Halachot differs from theirs. Like them, I eat only kosher food, wait six hours between dairy and meat. My skirts are longer than theirs and like many of them, I often wear a wig. I have three sons who have served…well, two that have served…and one who is serving – all in combat roles. In truth, I have little patience for the statistics of who is what. I have been to emergency rallies at the Kotel in times of trouble and see tons of what appear to be “secular” Jews praying (and dancing and singing) beside every level of what appear to be “religious” Jews. I have been to funerals where one next to the other, we are all Jews though this one wears a black kippah of velvet and this one no kippah at all. That one has a pony tail and…yes, that’s an earring in his ear…and beside him was a man with a long black coat…and when they said one of the psalms…I kid you not…the man with the pony tail put his hand on top of his head as a head covering and asked the man in the long black coat if he could look on and together they said the same words. As a parent of a soldier, I can understand and often feel the same way. I want to ask them why mine is on the front line or learning how to blow up a tunnel and theirs isn’t there. I want to ask them why they think their son’s prayers are holier than my son’s. But ultimately, I think there are two issues – the first is what this is costing the Haredi community and I feel that times are changing…slowly…very slowly…but more and more ARE serving. And second, what does this anger, this feeling that is so close, too close, to hatred do to you? I don’t care how they dress. I don’t care how you dress. I cherish you as a friend and truly hope that at the end of the day, you don’t care how I dress. The problem with labels and statistics is that they are black and white…and people aren’t. 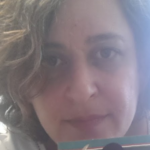 Does a secular Jew kiss a mezuzah? Does a secular Jew put on tzitzit or pray with tefillin? A secular Jewish soldier was given a candy bar by a child. He carried it into Gaza and when they had captured a house and set it up as a safe place from which to observe…he pulled out the candy bar…and there was a note from the child. It blessed him and wished him safety and asked him before eating the candy bar, to please say the appropriate blessing. He didn’t know what the appropriate blessing was, but the soldier stationed at the window on the other side of the room was religious and so he quickly crawled across the room to ask the soldier what blessing was appropriate. And, as the other soldier told him…a missile came in and obliterated the space where the first soldier had been stationed. My definition of religious is pretty much anyone who believes in miracles, anyone who kisses a mezuzah. It isn’t how you dress that makes you “religious”…it’s how you feel, it’s who you turn to at the worst moments of your life, it’s if you pray to God when your son or daughter leaves for base. And by those standards, I will tell you that there are more religious Jews in Israel than secular. The last time I saw you, you were wearing a shirt that I have. It looks better on you. 🙂 I don’t care what others wear, or what they eat. I care very much about other people telling me what to wear, to eat, to say – or to be silent. It bothers me a lot that there are different laws for citizens, based on our outward sub-cultures.